Hello Beauties and Happy Monday! The time for my second “episode” of my series Brand Lovin’ has finally come. As it turned out, my post Brand Lovin’ - W7 Cosmetics is one of the most popular among you. So I decided to make this series one of my priorities and to make it a regular thing. Also I structured the contents, as this way the presented information is more visible and in my opinion it will be easier for you to navigate through the post. From now on there will be a Brand Lovin’ addition to the blog at least once a month. I hope you’ll like this post as much as the first one and the provided information is useful to you. Let me know how do you like the new structure in the comments below? e.l.f. Cosmetics is US based brand that offers huge range of makeup and cosmetic products. The company was cruelty - free for a long time but recently they took it one step further and went entirely vegan. Now all of the products are free from animal derived ingredients. Beeswax is replaced by a synthetic version and lanolin is replaced by Bis-Diglyceryl Polyacyladinpale-2. Furthermore they replaced all animal hair makeup brushes in their collection with synthetic hair. At the moment e.l.f. Cosmetics are partnering with PETA in the Caring Consumer Project. I’ve been using e.l.f. Cosmetics for years now and I can say without any doubt that I absolutely love this company. They have enormous range of products both makeup and cosmetic, insanely affordable prices and very good quality. Since they are cheap you might assume that they are filled with chemicals but the truth is that their products are infused with as many natural ingredients as possible. I also have to mention that all of the products are non-comedogenic and hypoallergenic, which is something very important for people with sensitive and acne prone skin like me. 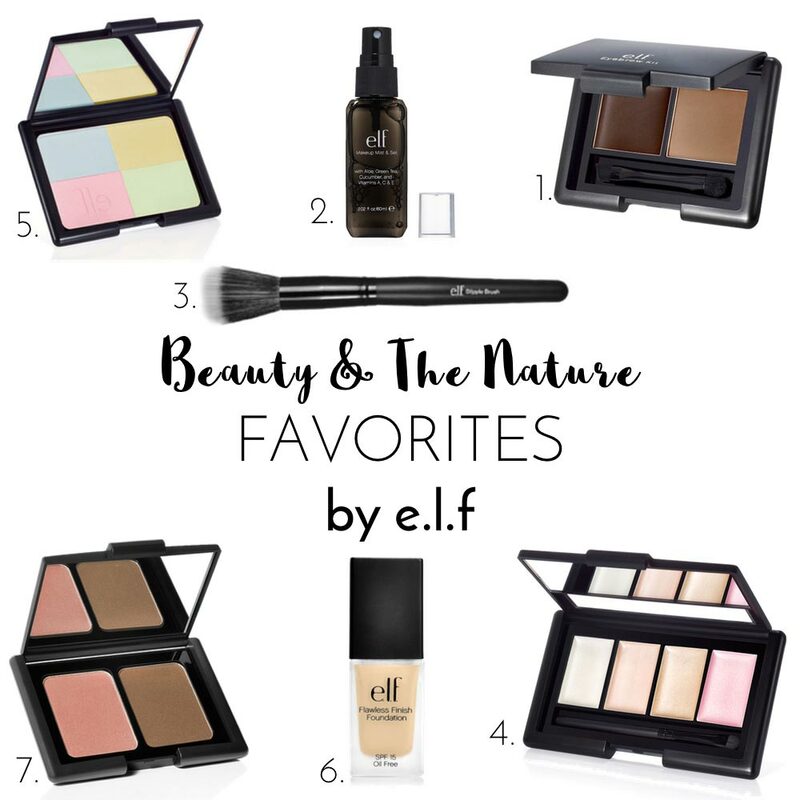 As I said I’ve been using so many e.l.f. products for the last years and I honestly love almost everything that I’ve tried. Of course there are some products that are not exactly my favorite but I haven’t experience a major fails with them. They are definitely my go to brand. Have you tried some e.l.f. products already? Which are your most and least favorite? DISCLAIMER | Please note, that I am not sponsored or supported by any means of these companies. The reviews are based on my research, my personal experience and the products that I have bought with my own money.